Marijuana Facts And Statistics: Are Deaths From Weed Real? Marijuana statistics show the popularity of this drug is increasing, both recreationally and medically. However, the adverse effects are becoming more common as well, and that is among the little-known facts about marijuana. Extensive marijuana research shows that it is the most commonly used illegal drug, with tens of millions using it every month. Find out the details below. What Is Marijuana Use Demographics? What Is Cannabis-Related Deaths Statistics? In Which States Is Weed Legal? This is the most commonly used illicit drug according to the 2015 National Survey on Drug Use and Health.22.2 million people have used it in the past month. Where is it used most often? Over 16 percent of the Alaskan population admitted to using pot in the past year even though federal law doesn’t technically permit it and the price of marijuana is relatively high in the state. Almost 16 percent of the residents of this state smoked weed during the past year as reported in a CBS survey. 14.88% percent of people in New Hampshire smoke pot. Here, one can hear the phrase 420 marijuana (after April 20, when it was legalized) very often. However, the trend is not new by any means – a survey by the Justice Department found pot was the drug of choice in NH “even among elementary school age youth” over 20 years ago. Use of weed remains more prevalent among men. This gender gap got wider between 2007 and 2014. Recreational and medical marijuana studies published by Statista show that 13 percent of men and 7% of women reported smoking in July 2017. Marijuana use is most common among adolescents and young adults. The annual Monitoring the Future survey portrays a seemingly immutable connection betwee marijuana and teens. Adolescents’ perceptions of the risks of use of this drug have steadily declined over the past ten years, possibly due to increasing public debate about loosening restrictions or legalizing marijuana for medicinal and recreational use. In 2016, 9.4 percent of 8th graders reported having smoked in the past year and 5.4 percent in the past month. Among 10th graders, 23.9 percent had smoked in the past year and 14.0 percent in the past month. Rates of use among 12th graders were even more impressive: 35.6 percent had used pot during the year prior to the survey and 22.5 percent used in the past month. Marijuana statistics 2017 (July) published by Statista indicate 18 percent of individuals aged between 18 and 29 years use pot. For the 30-49 age group, the number of marijuana eyes is 10%. It is 8% in the 50 – 65 age group. Use declines with age: only 3% of those over 65 smoke. Marijuana Deaths: Are They Just Another Myth? Marijuana-related deaths include driving under the influence of weed, weed-induced suicides, and poisoning among others. 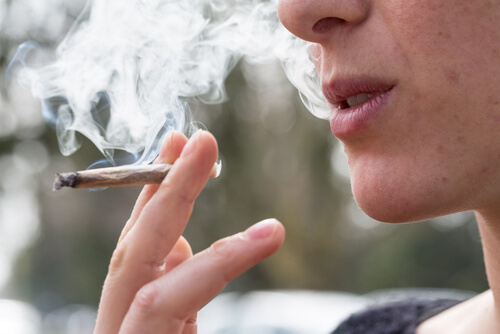 The prevalence of cannabis use and the high morbidity associated with car crashes has lead to a myriad of research on the connection between the two. Many motor vehicle fatalities involve drivers who test positive for cannabis. Why is this and how does marijuana affect the body? Pot, slang for marijuana, acutely impairs a number of driving-related skills depending on the dose, but the effects of it vary more between people due to tolerance and differences in techniques of use. Marijuana dabs are a form of use where the body absorbs a very high amount of Δ9-tetrahydrocannabinol (THC). People make dabs are made by extracting THC from cannabis using butane gas as a solvent. One marijuana study showed a link between heavy cannabis use and suicidal thoughts. Apparently, this isn’t just another one of those marijuana myths. Researchers at Louisiana State University found that people who smoked weed daily had more suicidal thoughts than less frequent users based on data from 209 undergraduates who had used weed in the past month and took part in the study. It is not possible to give exact data on marijuana deaths per year because there is no direct link between the two. Yet, facts do speak for the possibility of death by marijuana. For example, some people firmly believe that marijuana cures cancer, but it can actually exacerbate the illness. Food and drink products infused with weed and eaten or drunk have some different risks than smoking, including an increased risk of poisoning. How long does weed stay in your blood? Edibles can take effect in anywhere between 30 minutes to 2 hours. Some people overeat, which can lead to poisoning. As far as the long-term effects of weed go, these include tachycardia (rapid heartbeat), increased risk of stroke and heart disease. Again, death from marijuana is a distinct possibility. Cannabis is legal for medical use with certain restrictions in most of the states, however, Idaho, Nebraska and South Dakota prohibit marijuana for any use, including CBD oils and other medications with limited THC content. Connecticut, Delaware, Illinois, Maryland, Minnesota, Missouri, New York, North Carolina, Ohio, and Rhode Island decriminalized recreational pot use with different restrictions. Nebraska and Mississippi decriminalized the first offense only. Recreational legalization began in 2012. That year, Colorado and Washington became the first two states to legalize its recreational use. This year, the states of North Dakota, Michigan, Utah, and Missouri will face ballot initiatives combined with Oklahoma’s passage of a medical marijuana ballot initiative in June, the Vermont Legislature’s passage of a non-commercial legalization bill in January, and the potential for New Jersey to become the first state to make sale and production legal. 2018 is expected to be a great year for cannabis reform. Cannabis sales reached $6.7 billion in North America in 2016, representing 30% y/y growth. It is the fastest-growing industry in the United States, expected to grow from $2 billion in 2014 to $10 billion in 2018 and $35 billion in 2020. According to data of GQ magazine, it was the second largest cash crop in the US after corn last year and is worth more than $40 billion. The non-psychoactive, natural hemp market was worth $600 million in 2015. 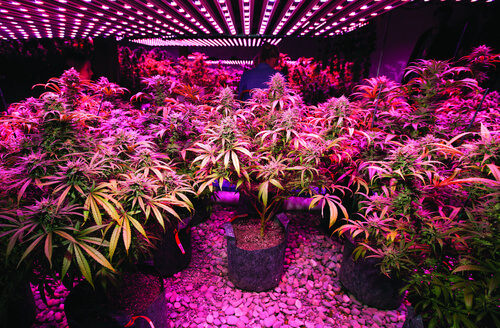 The biggest producers in the industry were Scotts Miracle-Gro Co. with a market cap of $6.15 billion, CBIS with $253 million, and MJNA with $480 million in the middle of 2017. If recreational use is becoming problematic or one isn’t seeing improvement with medical use, then perhaps treatment options for drug addictions should be considered. Holistic rehab, which takes into account an individual’s situation and unique traits, is highly recommended. Are you or your loved one struggling with marijuana addiction? You are not alone – help is available at our 24/7 hotline (888)-459-5511. Addiction Resource » Addictive Substances: The Anatomy of Drug Addiction » Is Weed Addictive? Marijuana Use, Abuse, and Addiction » Marijuana Facts And Statistics: Are Deaths From Weed Real?